Sharon here today sharing my mini journal pages using "cropped" faces from two of Maigan Lynn's new images available at the QKD Store!! 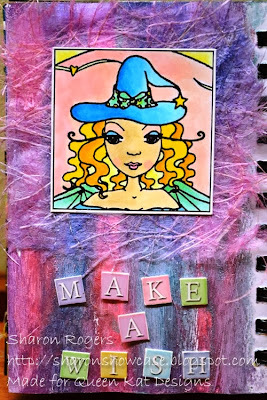 I had some gorgeous pastel shimmery paints which I used my finger to apply over the pages in strips. I mounted the Copic coloured images on some gorgeous Japanese paper - love the fibres and gorgeous colourings of this paper! 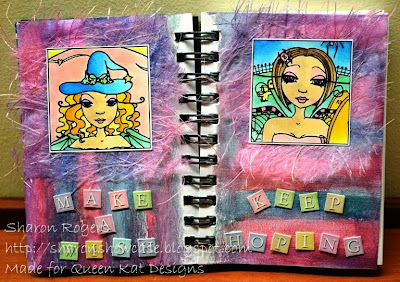 I added the little pastel coloured letters to add some wording to finish my pages off. The above image is "Winged Shoes" and the image below is "Black Widow". Sometimes it just fits to use a part of the image! 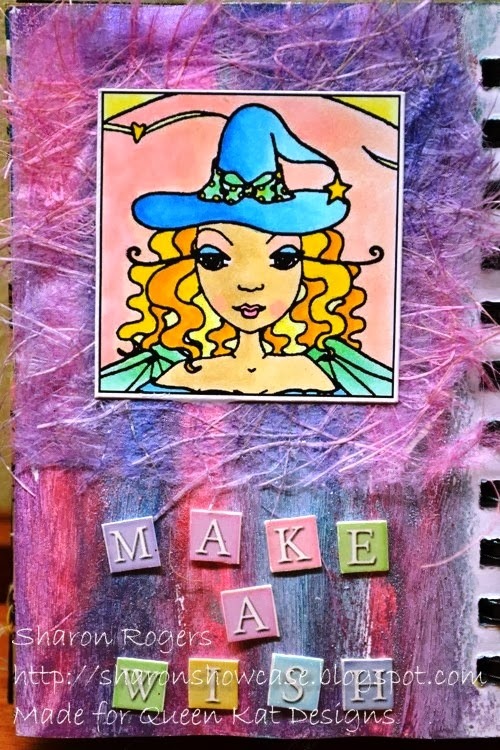 See you all again next week for some more inspiration with Maigan's designs! Why not visit the store and pick up some great new release images to create with!! 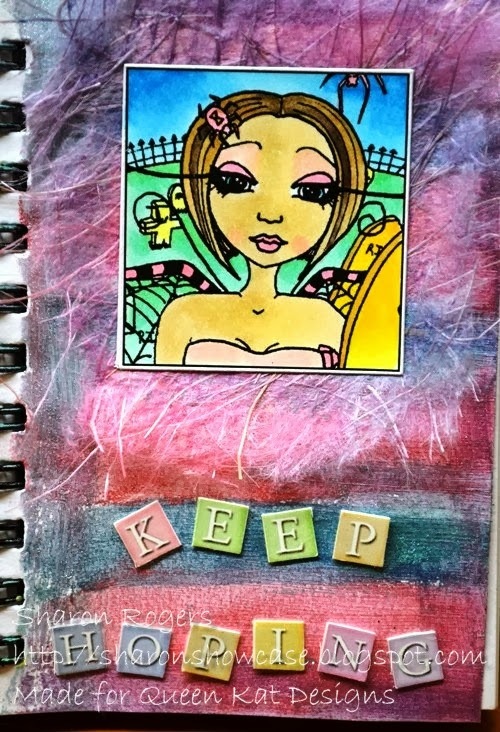 Love how you used the images and how you colored them. Thanks for letting us take a peek into your journal!